You’ve been dreaming of the perfect home, bespoke to you and your family. At Brookwater, we can help you turn that dream into reality. Once you’ve decided on your homesite, start visualising how your new home could look with our in-house architect, Marco Calvino. A distinct benefit offered at Brookwater is a complimentary architectural design experience with Marco. This is where your new life at Brookwater will truly start to take shape. With most homesites over 600m2, each stunning homesite at Brookwater offers a blank canvas for you to play out your dreams. According to Marco, the commitment to design along with unique Brookwater setting is what continues to drive sales and he is proud to assist clients to find that their own piece paradise. Meeting Marco is an integral part of the experience of buying into the premier residential development that hugs the famous Brookwater Golf and Country Club, just minutes from the emerging Greater Springfield CBD. Marco is a registered architect with over 25 years’ experience in both large and small scale projects from conceptual design, construction drawings, and contract administration. Working collaboratively, Marco will assist you to unlock the unique qualities of your homesite by providing a tailored hand drawn design concept of your new dream home. He says “Allowing me to provide that architectural touch to a new home concept brings opportunities for our buyers to take fullest advantage of the latest design principles, the beauty and luxury of natural materials and new ideas to exploit gorgeous spaces and functionality that can see a residence breath seamlessly with the natural splendour of the golf course’s surrounds.” Making sure that every home builder in Brookwater gets the best design value possible is how in-house architect Marco Calvino leaves his unforgettable mark. With over 25 years’ experience as a registered architect, Marco is a master of developing design concepts to meet the precise needs of new arrivals to Brookwater. If you’ve already chosen to call Brookwater home and have discovered the perfect plot, visit Marco at his studio overlooking the picturesque 17th hole to unlock the unique qualities of your piece of land and developing innovative design solutions. Whether you’re considering buying a plot or ready to start playing out your dreams, it’s time to make the move. The Street of Dreams display village can provide some much-needed inspiration on what your life in Brookwater could look like. If you want more information about living at Brookwater, submit an enquiry or phone 07 3814 5177. If you are ready to call Brookwater home, view the properties available now. 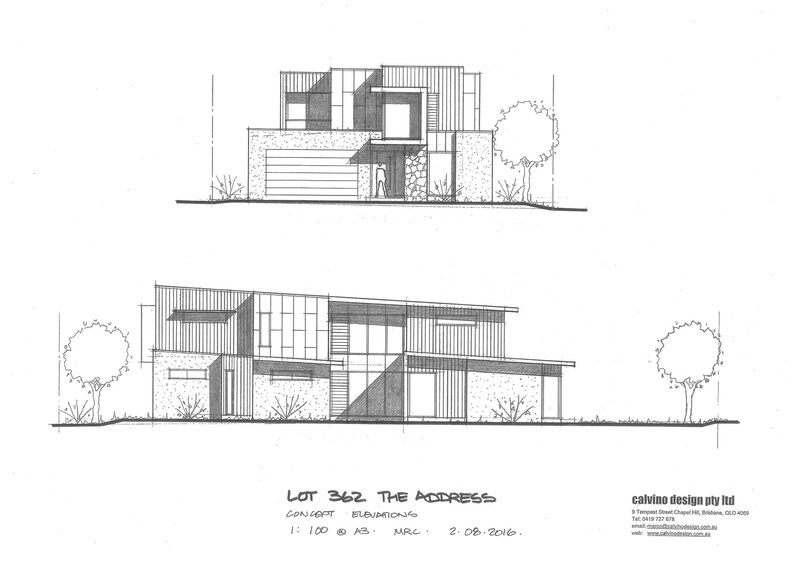 We just wanted to let you know how much we appreciated the plan you have developed for our block in Brookwater. It is absolutely fantastic and everything we wanted. We have been searching and puzzling over how to put a house on the block that compliments the area, the street and the block that we could afford to build for over 12 months. We have spoken to a multitude of builders about ideas, walked through so many display houses and we have never been satisfied with what has been proposed. We don't have to worry anymore. We both love what you have developed and really appreciate the time and effort you have put in. Thank you very much for your work on the concept design. Jody and I are very happy with what you’ve been able to create so far and are quite excited to see where this takes us. We’ll decide in the next day or 2 whether to get you to forward the design across to the builders you’ve mentioned.